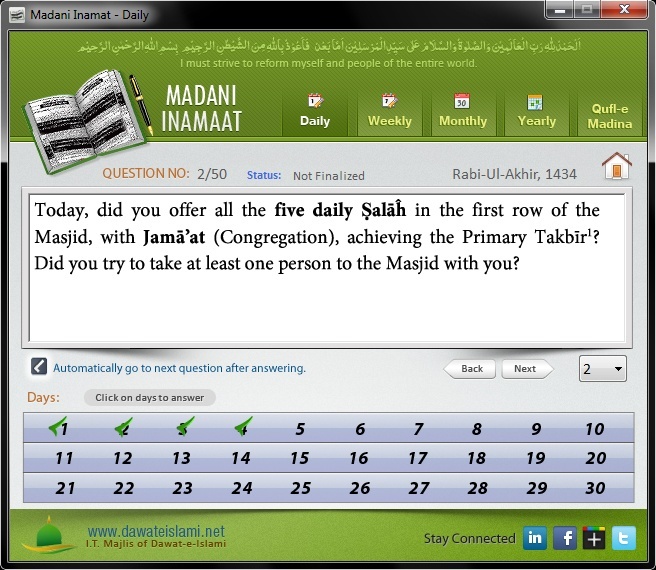 Islamic Slide Show for everyone who wants to learn Islam in the depth. I made this slide show several years before, and posts many blogs but now first time I am submitting this slide show in my personal website. Also I am very glad that I put this slide show in the glorious day of the year 12 Rabi-ul-Awwal 2012. Must watch this slide show, and I request you to forward it to as Much People as you can & Pray for me. Languages: Arabic, Urdu, English & Hindi. Fill Madani Inamat Daily, Weekly, Monthly, Yearly and Qufl-e-Madina Sections. Portability - Just Copy the Madani Inamat Folder into a Pen Drive, You can now run Madani Inamat Directly from the Pen Drive on any Computer. 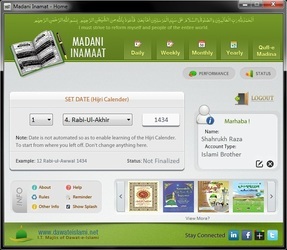 (By default this folder is located in ‘C:\Program Files\Dawat-e-Islami\Madani Inamat\’) – Make sure the computers have .Net Frame work 2.0 Installed. 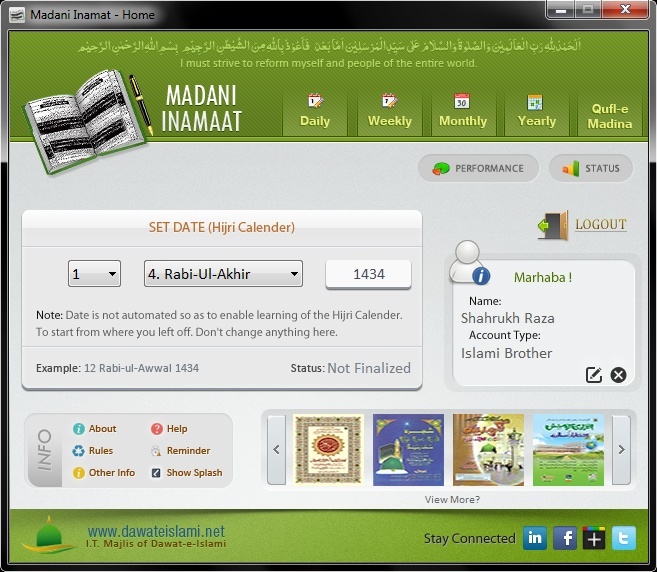 Remember and Save Complete History of Your Madani Inamat Activities. 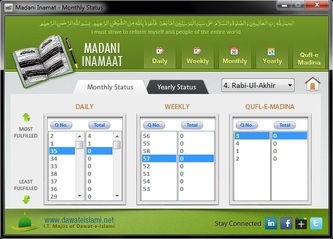 ( View Madani Inamat activity for any date by giving the specific date in the home page and clicking the respective tabs). 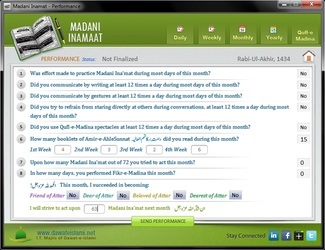 This is a software to watch Live Madani Channel Audio or Video transmission on your computer.